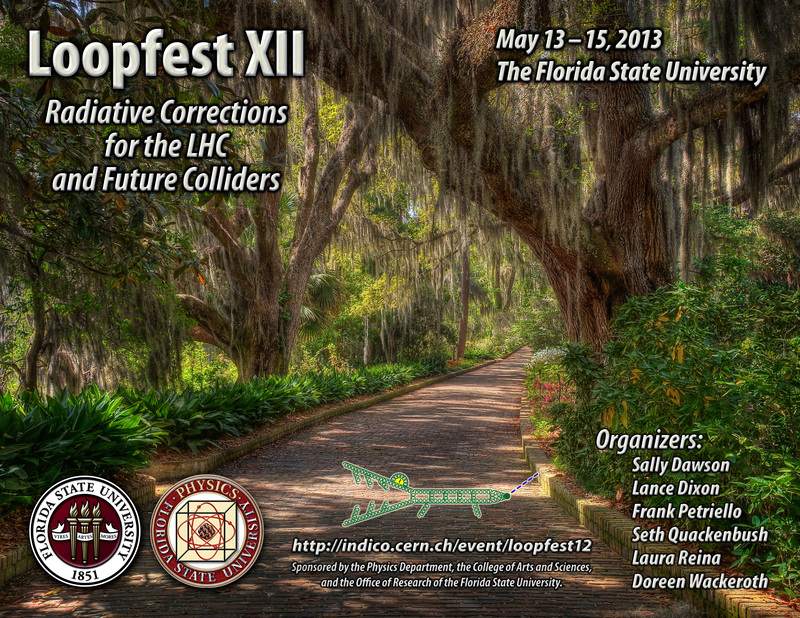 Loopfest XII will be held at the Florida State University Conference Center, sponsored jointly by the Florida State University Office of Research, College of Arts and Sciences, and Physics Department. LoopFest XII participants interested in the Snowmass 2013 process are welcome to stay for an extra day of informal discussion sessions covering topics and activities in QCD, Higgs, and EW phyiscs. This one-day meeting will take place on May 16, 2013, on the FSU campus.